Migrating your eCommerce website to Magento 2 has become vital now as the end-of support date for Magento 1 is nearing. The business organizations that migrate to Magento 2 have an opportunity to experience something beyond re-platforming, the shipping module. Catering to every single demand of prospective customers is a major challenge faced by every eCommerce business. Using traditional tools that have a unified system with a perfectly streamlined functionality can no more match industry trend. 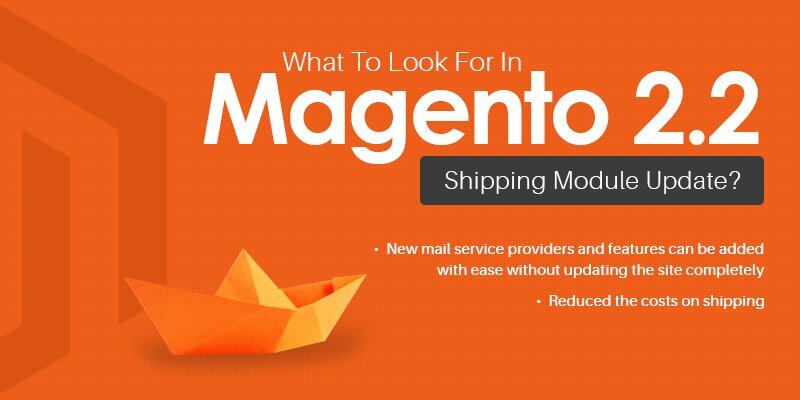 Keeping this in mind, Magento 2.0 has evolved and come up with the new shipping module in the version 2.2. What Makes The Magento Shipping Module Exciting? New mail service providers and features can be added with ease without updating the site completely. Key Shipping processes can be automated. Easy enhancement of customer experience, and increase in traffic and conversion rates. Apart from these features, Magento offers a lot more to its users. Process automation seamlessly displays the shipping options during checkout and provides an option to choose the pricing and delivery options. This makes the users gain control over their purchases without any manual effort. Magento’s shipping processes can help organizations balance the processes from both, the front and backend. Want to migrate to Magento 2 now and align user experience with the processes at the backend to increase your business revenue? If yes, give us a shout, and we will be ready to help you.